MP5K RR with HK factory operational briefcase. $32,900 delivered. 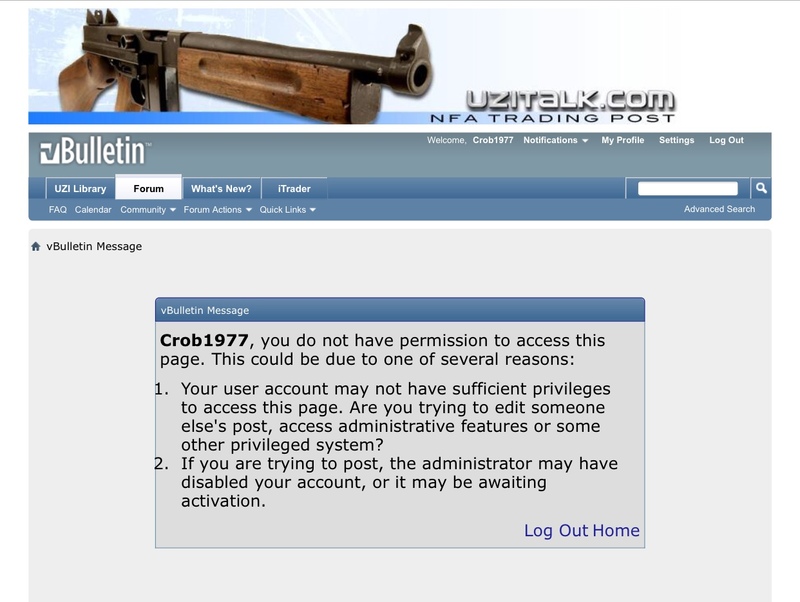 He is also selling a lot of other NFA items as well. Last edited by colossians323; 04-11-2019 at 10:35 PM. Was it taken down? I can’t access the page. It says I don’t have authority. You have to set up an account (it's free, only takes a few minutes) on Uzitalk to view the WTS forums. John has been pretty good to work with over the years. He's really old so communication isn't the best but the guy has been solid. Kinda sad to see him retiring. My friend just got his first MG(m11/9) and it came from him. My latest should be showing up anyday now from John who was handing a form 4 gun for an estate that I bought from him.